From the site that never brought you Oasis, we decided this had to go out. The moment has arrived when the world will finally know the answer to that age old question, “how long would Liam Gallagher survive without Noel to help him along?”. 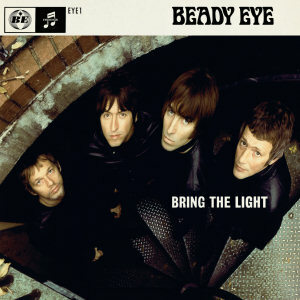 The infamous hell raising Mancunian and his new band Beady Eye are set to release the first single, ‘Bring The Light’ from their forthcoming debut album tomorrow and fans only have to visit the groups official site for a free download. Tickets There will be watching this with a grin. In many ways we’re hoping Liam comes out with a cracking piece of music. Not like Noel has exactly been prolific as a songwriter since the mid nineties so let’s hear what Liam can do. If he fails, he just lives up to expectations and that won’t be anywhere near as fun. The Single Will be available from www.beadyeyemusic.co.uk From Tomorrow. Good luck lads, TT’s rooting for ye! This entry was posted on November 9, 2010 at 11:53 am and is filed under Music, News with tags Beady Eye, Bring The Light, Liam Gallagher, Oasis. You can follow any responses to this entry through the RSS 2.0 feed. You can leave a response, or trackback from your own site. Liam Gallagher could sing the telephone book and make it a hit!